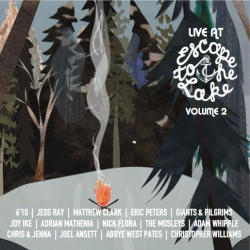 We are excited to announce the release of UTR's latest compilation album Live At Escape To The Lake, Vol. 2 - featuring 14 high-quality live recordings direct from the main stage at ETTL 2016 this last August. We are releasing it for FREE on NoiseTrade.com - but tips are welcome (and helpful) and 100% goes to support UTR's ministry.